THE ORIGINAL AND MOST TRUSTED SEA SALT BRAND SINCE 1976! Thank you for taking the time to fill out the registration form. Please verify your contact info below and click the button to submit the info to us. We will send you your log in credentials within 24 hrs M - F.
We will contact you by [rt2] within 24hrs. Thank you for considering Celtic Sea Salt® Brand products for your business needs. Since the company’s founding in 1976, Celtic Sea Salt® has grown into a national and worldwide brand that has been recommended for its unique health benefits by hundreds of physicians and nutritionists and for its unique taste by a great many leading chefs. Wholesale sea salt, bulk sea salt, and ingredient pricing is available for stores, practitioners and other qualified individuals who plan to resell the Celtic Sea Salt® and Selina Naturally® Brand products. A valid tax identification number or physician's license number is required. Please do not hesitate to contact us if you need assistance. We have very knowledgeable representatives able to answer all your questions. We do require your paperwork completed prior to setting up your account and shipping your first order. We look forward to having you as a customer and becoming business partners. We take pride in our products and are delighted you want to represent them. Experience the original. Accept no substitutes. 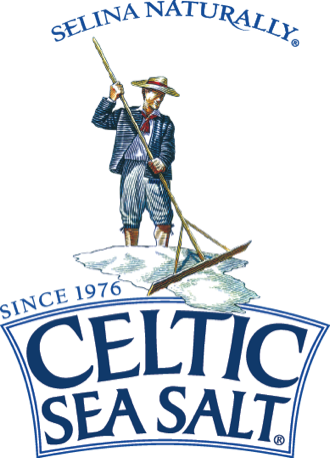 To guarantee authenticity, Celtic Sea Salt® is a globally registered brand and we are proud to say we are still family owned and operated. Please note: In order to process your applicaton, all fields must be filled in. Use N/A if queston does not apply. Along with this form, a completed Wholesale Contract is required. The Credit Applicaton is only required if you are applying for Credit Terms with us. Is your billing address the same as your ship to address? Please Help Us Learn More About Your Store. Which product(s) are you most interested in? What other brands of sea salt do you carry now? How did you hear about Selina Naturally® Celtic Sea Salt® Brand? Which social media platforms is your company curently active with? Would you like to be included on our online store locator page? Thank you for taking the time to fill out this application. Please verify your contact information below and click the button to submit the information to us. Thank you for your application submission! Someone should be contacting you soon. We will contact you by [ws2b] within the next 24 business hours.